The sport of urban axe throwing has created a buzz throughout Canada. Every day someone new is discovering the culture of axe throwing – in every throw, they experience the rush. Every hit on the target, they jump with joy. It’s no wonder why this adrenaline pumping sport will have you smiling from cheek to cheek. And it’s a no-brainer why our American neighbours have caught on. Bad Axe Throwing is the first indoor axe throwing recreational venue in the U.S. and has surpassed expectations. The location is right in the West Loop of Chicago and is one of the busiest – creating quite a following. With active enthusiast and intrigued amateurs, this first american location books up fast. They have had tremendous success hosting small to large parties; everyone wants to be apart of the action and join in on the fun. 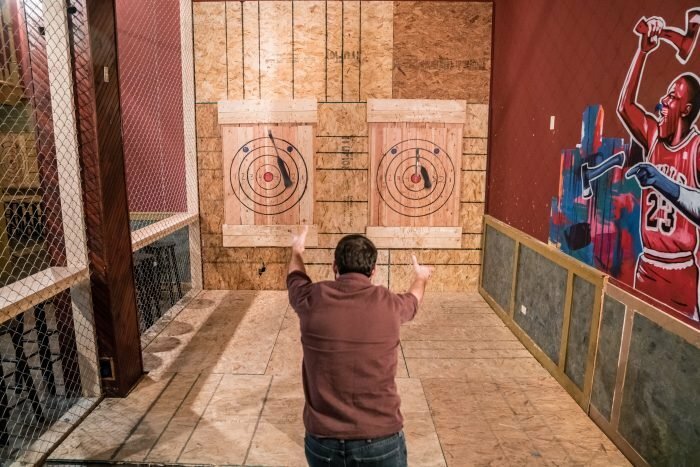 The Chicago location is the most popular and competitive for axe throwing leagues. Due to high demand they have to reserve 2 nights for players to throw down (typically league nights fall once a week at other locations). Leagues run for 8 weeks and consist of warms up, challenges and incentives. The final week hosts a tournament where one player is titled the Bad Axe Throwing Champion (to their appropriate location). 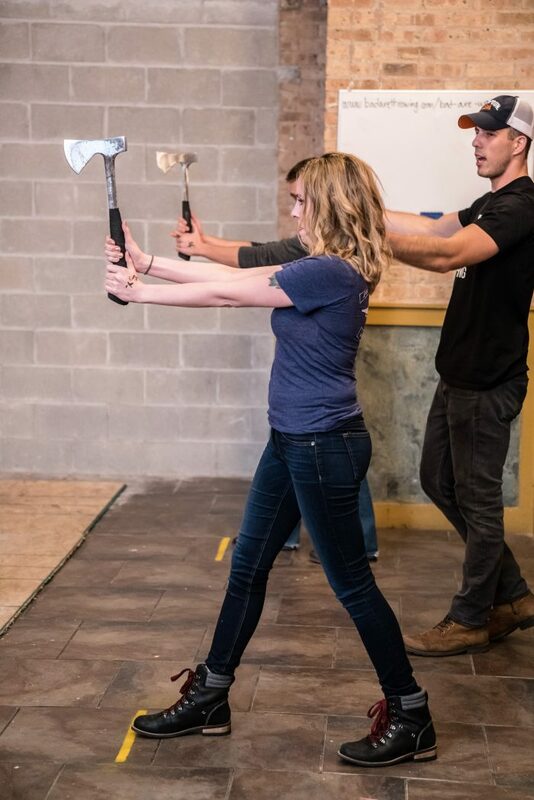 Bad Axe Throwing is extremely happy with the response in the U.S. Their increasing interest has this Windy City buzzing and has been featured in Michigan Avenue, Chicago Tribune, Chicago Sun Times, WYCC and more. Food and drinks are welcomed at no extra cost. During the week Bad Axe Throwing Chicago is happy to host any event with a minimum of 8 people and on the weekends a minimum of 12 people. Book today and be apart of this growing sensation.